In the previous article Install OGG, we noticed that the installation of software Oracle GoldenGate finished fine and could observer that the manager runs fine. So, We need start with the following steps to continue with the awaited moment, replication. Also for easy administration and execution of OGG command line, its recommend set the environment variables. Usually, I set the env variables for avoid issues. You can set it, on the .bash_profile or (I preferred use an simple env variable script on the user home) an script. Configure Parameters on Source and Target Databases for Golden Gate. Configure Users on Source and Target Databases. Well, once installed ACFS Cluster File system, continues installing to the graphical Oracle Golden Gate Product. Before start this task, I recommend him that check the following links. Good, Lets start. Move the file V861007-01.zip to the shared file system and unzip the file. Set the X variables and execute the OGG installation. Remember, it’s depends of the site where you install the OGG binaries, you need choose the adecuated version supported to your database. This week I had to install the Oracle Golden Gate product on a client and the DBA that was on site, was deprived of the access to a graphical environment to execute the installation with the Oracle Universal Install method. The first thing that this young man tells me is that he had thought about uploading the software and doing the unzip and voila! With that I would have the binaries ready to be used and start with the configurations. 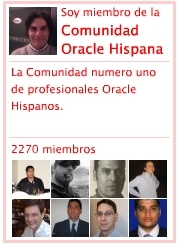 But we were before a version of OGG 12c and this is not possible. It is so that it appeals to the traditional installation in SILENT MODE. Create the path for the software installation. Deploy the installation binaries with the unzip command. Execute the installation in silent mode. It helps to create a mnemonic path in case we will contain more instances of OGG in the future.